Join us for BERNINA Academy, a two-day sewing event packed with exciting and inspiring sewing techniques! All students will sew on BERNINA’s top of the line machines – the B590, B790 PLUS, or B880 PLUS – and create their very own BERNINA Academy Technique Book to take home, along with a collectible BERNINA USB stick containing project inspiration and instructions to use as a reference guide for years to come! This event is for beginners, experts, and everyone in-between! Learn how to successfully stitch professional techniques like piping, zippers, Spanish hemstitching, couching, fringe, and more! Learn practical and decorative techniques and discover ways to make sewing easier using proper feet, stitches, and features of BERNINA machines for precise sewing. Our expert BERNINA educator, Shelly Fitzgerald, will guide you through each exercise and share tips for using proper feet, stitches and features for precise sewing. Experience Creative Consultant, built right into the BERNINA, and learn how it can inspire and encourage you to successfully work with all the new textiles available using various techniques. 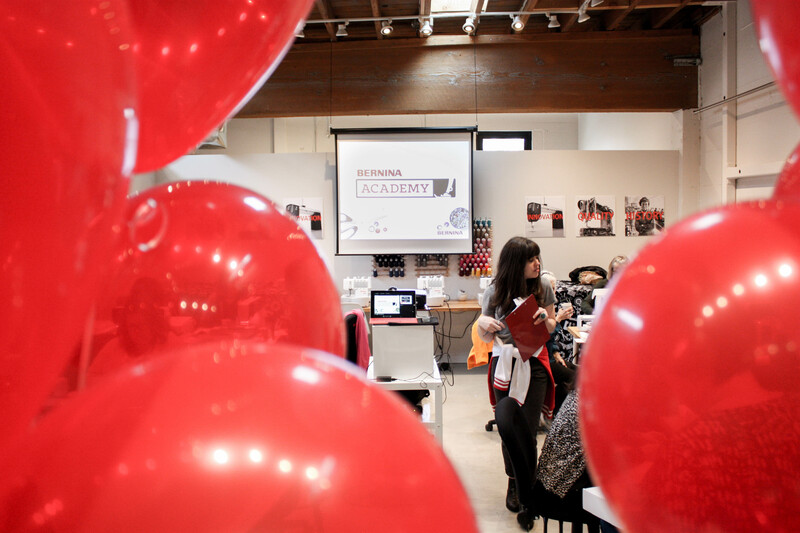 Shelly Fitzgerald comes to BERNINA Academy with a mixture of enthusiasm and knowledge. Overlocking to software, garment sewing to machine embroidery, quilting to Home Dec, Shelly has a love and understanding of the topics and the BERNINA machines, software, feet and accessories that accomplish each task. Thinking of purchasing a BERNINA? Try one in this event and we will apply your class fee toward the deposit on your new machine! Great prices and generous discounts will be offered on all accessories shown during the event.